One of the most common complaints we hear in the home heating and air-conditioning service industry is from homeowners with two-story houses who have become frustrated with a second story that is too hot. Before calling for help, most homeowners have tried using their thermostat to solve the problem, which usually results in unwanted cold temperatures in other parts of the home, and higher than normal electric bills. We hear these complaints from owners of new two-story homes at least as often as we hear them from owners of older homes. Here in the Lexington, KY area, like most areas of the country, new construction is dominated by production homebuilders and developers who offer value in the form of square footage, and sometimes the HVAC systems in these bigger homes are not quite up to the challenge. Older homes, on the other hand, have most often had their air conditioning systems replaced, usually by homeowners who are already very well acquainted with the warmer and cooler areas of the home. If you are experiencing an undesirable temperature difference between the upstairs and downstairs of your newer or older home, your HVAC service technician should be familiar with the common causes and the techniques most frequently used to solve this problem. The first and most essential step in addressing any home HVAC situation is to ensure the system is functioning at its designed peak efficiency. Obstructed ductwork, dirty filters and coils, and low levels of refrigerant are simple fixes for a qualified technician, and each of these problems can contribute to an upstairs living space that is hotter than desired. Even with a well-designed system operating at peak efficiency, a few common problems can be evaluated and addressed by your technician. Sometimes the thermostat is intentionally placed in an area of the home where it can be conveniently checked when entering or leaving. Your technician can discuss this with you and evaluate whether relocating the thermostat could provide a more consistent and comfortable climate across all of the living spaces. In other situations, the system may just need to be balanced so that cold air is distributed evenly throughout the home. The upstairs registers are often the furthest from the air handler, and the ductwork leading to them often runs through warm attic crawlspaces. These ducts are the most likely to be damaged over time by people moving through the attic, and by exposure to extreme temperatures. Balancing the airflow can be performed using special equipment to measure the temperature in each room, and the temperature of the air as it leaves each register throughout the home. Most often, a proper distribution of cold air can be achieved without any changes to the existing system, since most registers provide adequate adjustment capabilities. Aside from proper maintenance and adjustment of your existing HVAC system, your technician can help to identify other causes for a second story that is too hot. If you’ve ever been in your attic on a warm summer day, you know it can reach temperatures much higher than the outside temperatures. The radiant energy of the sun is absorbed by your roof, and is conducted into the airspace in your attic by the roofing materials. The first line of defense against this type of heat transfer is a reflective roofing material. However, most asphalt shingles are actually very effective absorbers of the sun’s radiant heat, in part because of their darker color. 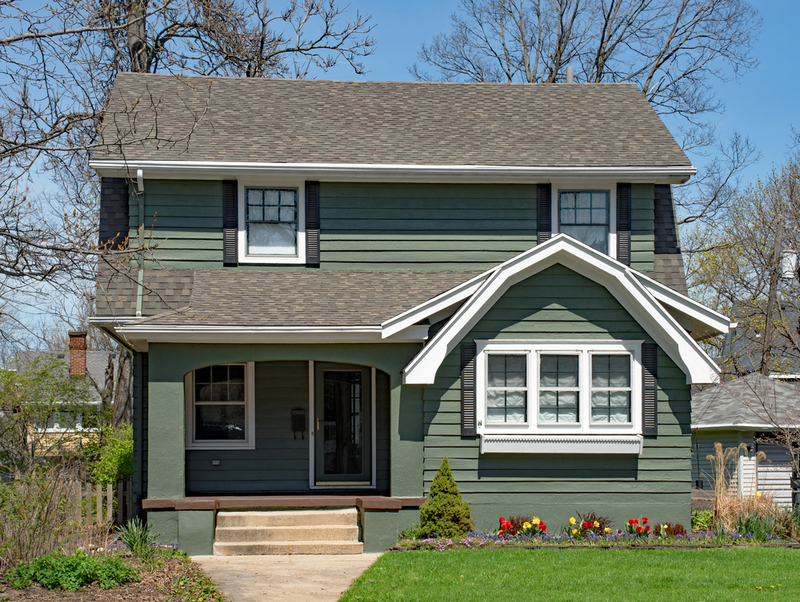 If you’ve recently replaced your roof with darker shingles, you could have found one reason why your second story isn’t as cool as it used to be in the summer. The second line of defense against the sun’s radiant heat to a well-ventilated attic. Without ventilation, the heat that builds up in the attic will eventually heat up the insulation, and the drywall ceiling underneath it. Fortunately, there are many cost-effective ways to address inadequate attic ventilation. If you are dealing with a second story that’s too hot, call the professionals at ADA Heating & Air. We offer quality heating and air services at affordable prices. Proudly serving all of central Kentucky, including Danville, Nicholasville, Versailles, Lancaster, Winchester, Harrodsburg, Stanford, Lexington and all surrounding areas.